SCVHistory.com LW2535 | Film/Arts | Tippi Hedren with Pet Raven, Buddy, 1962. 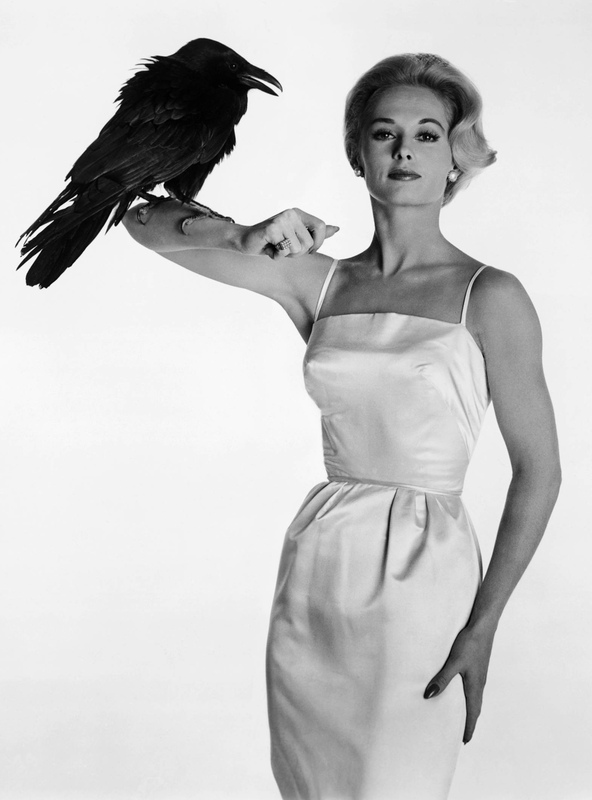 If you thought Tippi Hedren's affinity for big cats was somehow rooted in revenge on birds, think again. 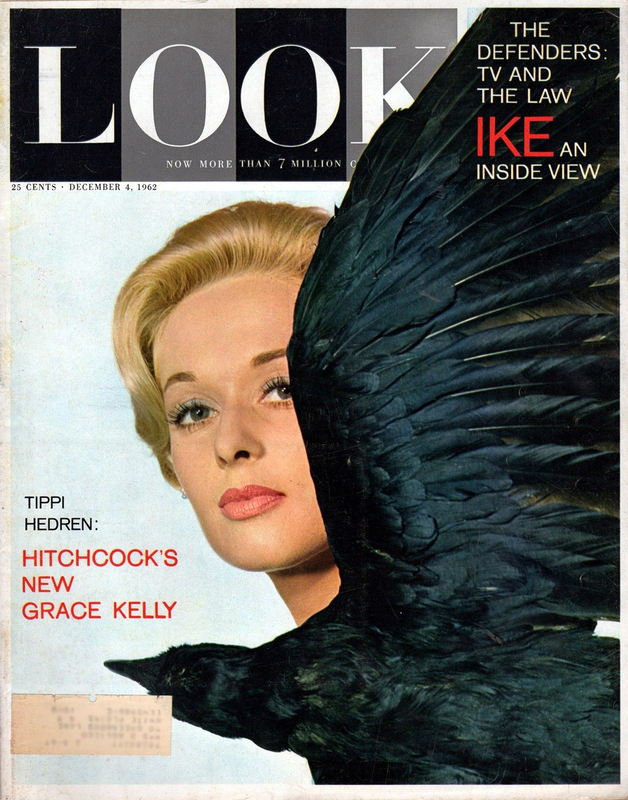 According to the Dec. 4, 1962, edition of Look magazine — published prior to the 1963 release of her first Alfred Hitchcock film, "The Birds," but after the harrowing scenes were shot in which the crew threw real birds at her — she accepted one of the creatures as a pet. 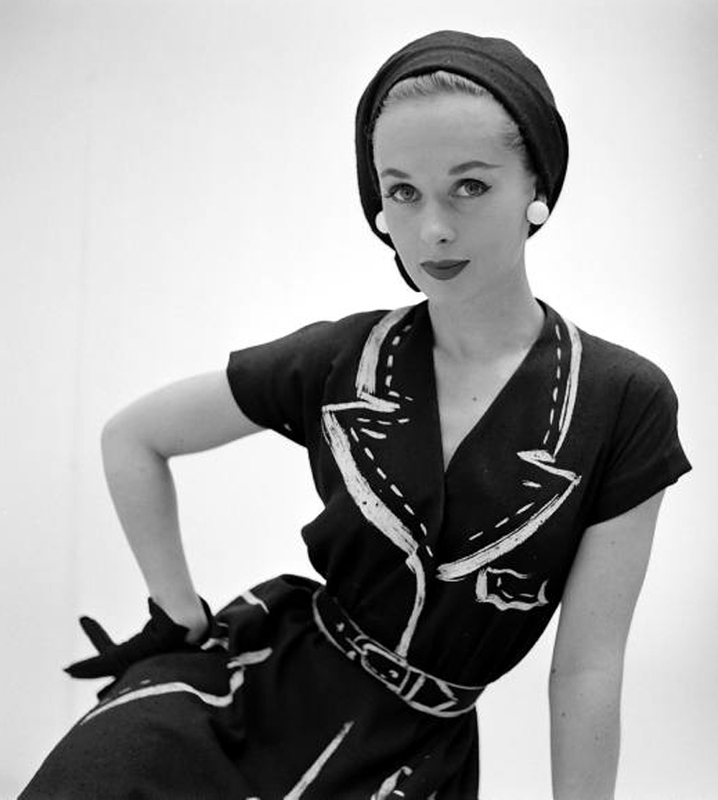 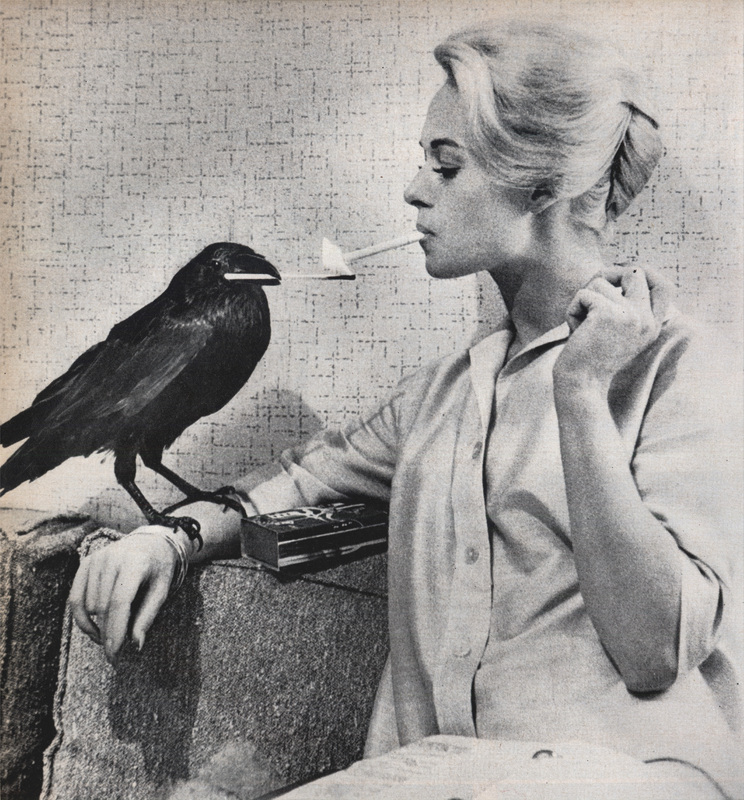 The caption from the feature story, "Tippi Hedren: Hitchcock's New Grace Kelly" (with Tippi on the cover), reads: "Buddy, a pet raven, neatly lights Tippi's cigarette. 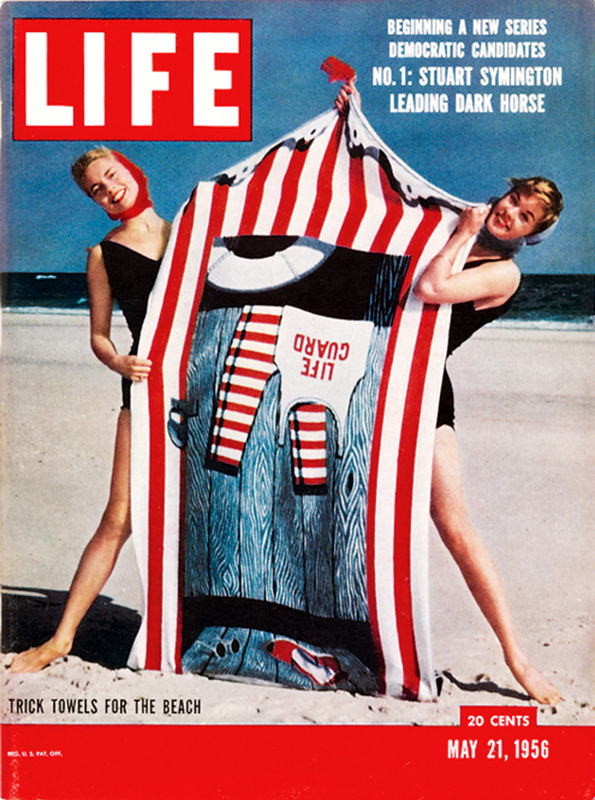 She grew so fond of him that she put a sign, 'Buddy and Tippi,' on her dressing-room door." 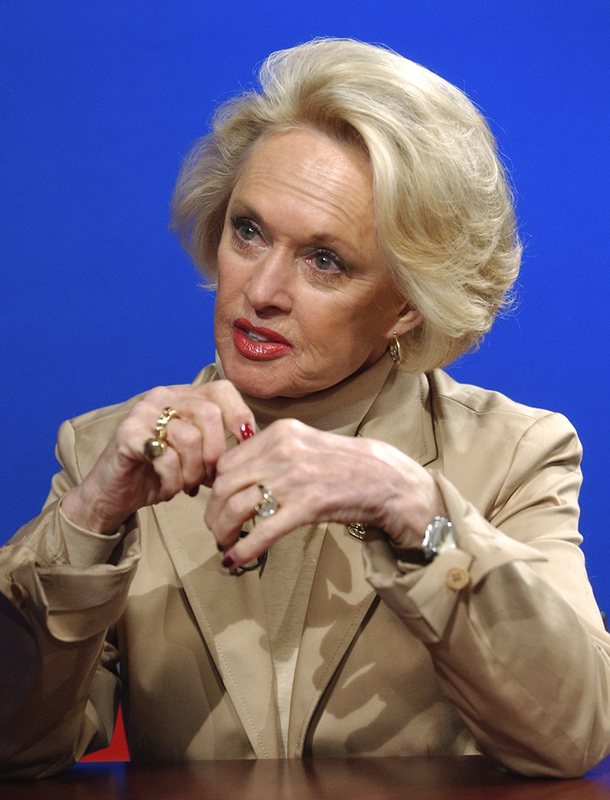 Ten years later (1972) she bought Africa U.S.A., a onetime Hollywood animal training compound between Agua Dulce and Acton. 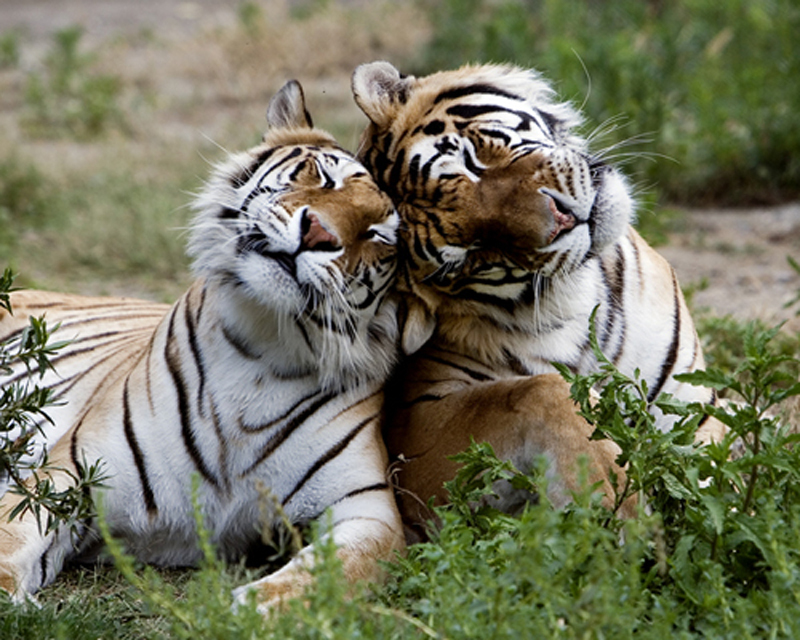 Eleven years after that, she renamed it Shambala, having transformed it into a sanctuary for rescued lions, tigers and other exotic felines. 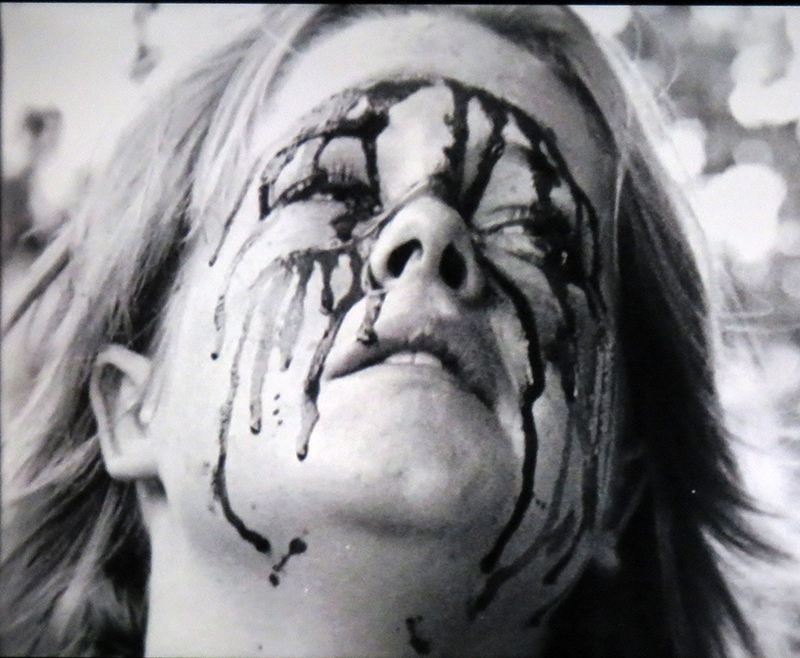 LW2535: 19200 dpi jpeg from printed matter purchased 2013 by Leon Worden.